King Birendra Bir Bikram. Bajrayogini at Sankhu. Temple at centre. Leopard on back. Coat of Arms. Solid security thread Printer: TDLR. 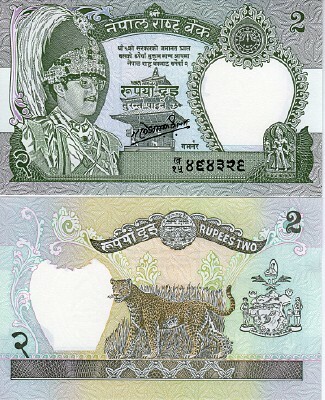 Signature: Ganesh Bahadur Thapa.